If you price it right, they will come. We’ve been saying this for years, and it’s true. Perhaps you’ve read recent headlines that shows home sales are down. This would also be true but not for the negative reason the headline implies. Simply put, home sales are down only because we don’t have much to sell. We have greater demand than supply. 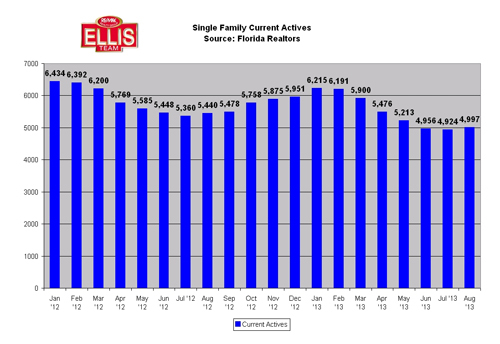 If you look at the inventory chart for single family homes in SW Florida you’ll find that inventory levels are at their lowest level in years. 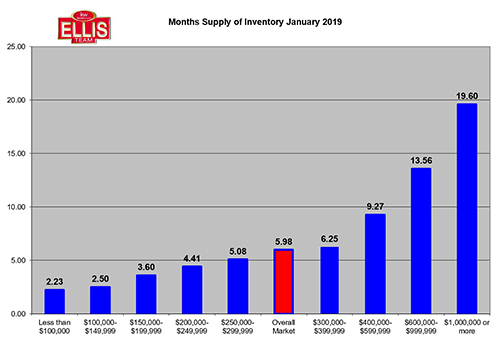 Inventory levels usually begin to rise in October through season, so we’ll have to keep our eye on that. Buyers aren’t really prepared for the competition for new listings. Their agent tells them it’s a good market and multiple offers are more often the rule rather than the exception, but it doesn’t sink in until they experience it for themselves. There’s nothing quite like losing out on your first and second choice home. It begins a powerful soul search and buyers have to ask themselves a hard question. How bad do I want a home? Most want one. Some think about it and fear takes over so they do nothing. They try again next year after feeding the rent monster and can’t believe how much waiting has cost them. And the process begins all over, until the fear of remaining the same is greater than the fear of change and they take action. Look at the new pending sales chart. 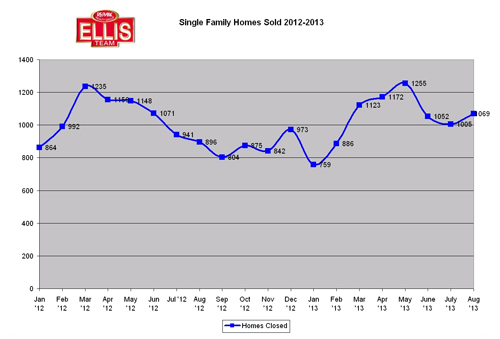 This chart measures only new pending sales during the month. It is not cumulative pending sales. You’ll see new pending sales are rising over previous years at a time when inventory is falling. This is why average sale prices are up 14.8% while median prices are up 3.9% from last year. Combine that with a temporary drop in interest rates and you can see why we have a buying frenzy in SW Florida. Other parts of the country aren’t experiencing what we’re seeing here, but then again they didn’t go through the tough times we did for 6-7 years either. Builders didn’t build here for years. Now that companies are hiring and moving here, we have a shortage, but thank goodness inventory is coming online. It’s hard for a buyer to know where the inventory is, however an experienced agent who is active in the market knows and can help you. The Ellis Team will be conducting home buyer seminars in November to help buyers. We’ll educate you on how to get the best financing and what the lenders are looking for when you apply. We’ll teach you how we get our offers accepted by sellers. You have a limit to what you can afford, so we structure your offer to stand out. We’ll show you where the new and existing inventory is that other buyers might not know about. We teach you about flood insurance, homeowners insurance, the inspection process, and more. You’re not in competition with the seller. You’re in competition with other buyers who want the same homes you do. We’ll educate you so you’re more informed. Knowledge is power, and you can use that power to get in your home now before rates and prices price you out of the market. Call our office to signup for one of our November seminars. 239-489-4042 Or you can email me at Brett@topagent.com Feel free to search the MLS on our website www.Topagent.com If you can’t wait for our seminars this month, call us and one of our buyer specialists can meet with you one on one and get you a head start. The market is Hot. 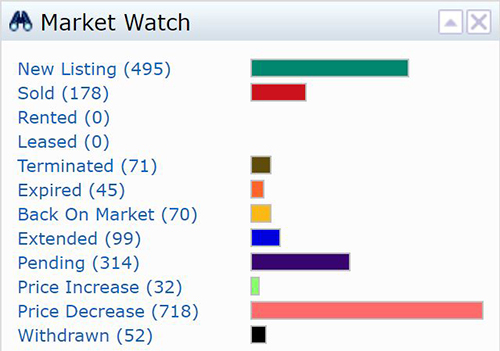 Sellers are doing well. We’d like to help buyers take advantage and get in now before it goes higher.